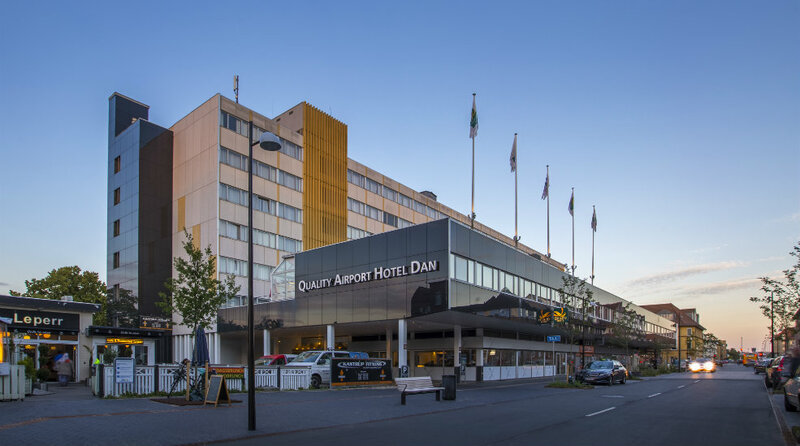 Welcome to the Quality Airport Hotel Dan, conveniently located just a few minutes from Copenhagen Airport. This is one of the few hotels in Copenhagen that provides a complimentary shuttle service to and from the airport. Stylish and practically furnished single room (16 m2) with natural light and wooden or carpeted flooring. The rooms have a double bed (160 cm wide) and can be booked either for one person or for two sharing the double bed. The rooms also have a desk, armchair, flat screen TV, as well as a hair dryer in the bathroom. Extra beds in the room are not possible. Our practical, stylish standard double rooms (30 m2) with twin beds (90 cm wide) have plenty of natural light, either hardwood or carpeted flooring, a desk, armchair, flat screen TV and a hair dryer. Our practical, spacious superior double rooms (32 m2) with twin beds (90 cm wide) have plenty of natural light, either hardwood or carpeted flooring, a desk, armchair, sofa, flat screen TV and a hair dryer. Our spacious deluxe double rooms (40 m2) have plenty of natural light, and either hardwood or carpeted flooring. They have a sleeping area with a queen size bed (140 cm wide), a desk and a TV and a separate lounge area with an armchair, a sofa and a TV. The bathroom has a hair dryer. Our spacious suites (52 m2) offer a king size bed (180 cm wide) in the separate sleeping area. With plenty of natural light, a stylish combination of carpeted and marble flooring, a desk, armchair, sofa, flat screen TV and a dining table. Bathroom with a hair dryer. The suites are furnished in Nordic style and offer fantastic views over Öresund and towards Sweden. Our spacious, practical family rooms (32 m2) have two twin beds (2 x 90 cm) and either one or two extra beds. With plenty of natural light, either hardwood or carpeted flooring, a desk, armchair, sofa, flat screen TV and a hair dryer.